For a long time now, comedian and TV show host 'Dhaadi' Balaji's fallout with his wife Nithya has been in the limelight. Various stories were reported about the couple's divorce and meanwhile, both of them were announced as contestants in the popular reality show, Bigg Boss. "After he spoke wrong things to me inside the house, I made up my mind that I will not be reuniting with Balaji. I was sure to continue with the divorce. Over the past one year, he has assured me that he has changed. If he gave me positive signs inside the house, I might have changed my decision after 60-70 days, but that did not happen." To know more about what she said, watch the video below! Bigg Boss-ல் காயமடைந்த Vijayalakshmi தொடர்ந்து விளையாடுவாரா?? 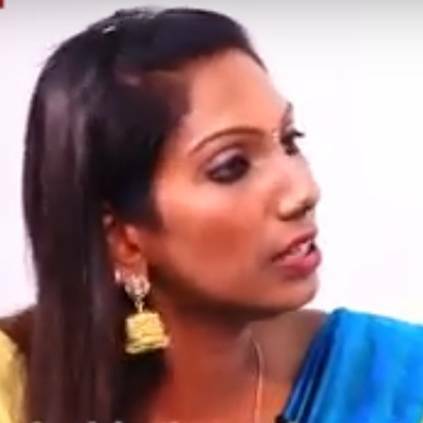 - Viji's Husband Feroz Reveals! People looking for online information on Balaji, Bigg boss, Nithya will find this news story useful.